nona yabizness hat diese Petition an The fash gestartet. Darkace did nothing wrong... ok maybe a few things, but hes funny and all, so we should use the tyranny of the people to overthrow the flase decision made by the falied technocracy to ban our saviour. 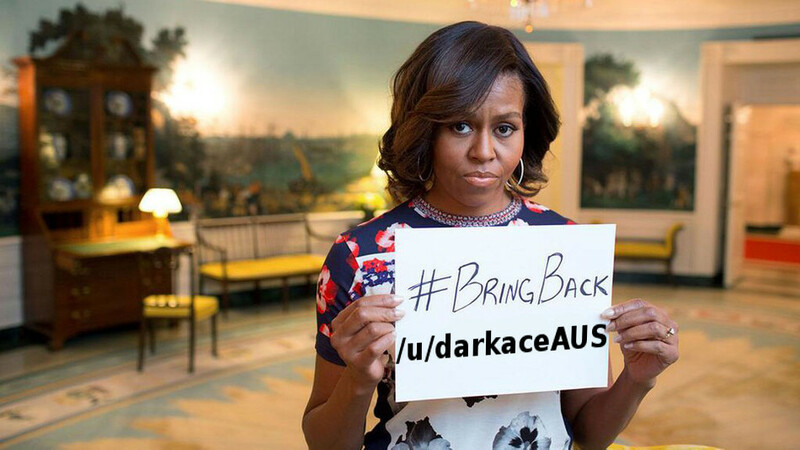 Even Michelle knows that its the only moral choice. And now the fascistic and oppressive SOMC want to take aways the secound to last component of our existence, circuses. nona yabizness benötigt Ihre Hilfe zur Petition „The fash: Free DarkaceAUS”. Jetzt machen Sie nona und 15 Unterstützer/innen mit.